My solo exhibition Arbor Vitae enjoyed a long run this summer at the Moose Jaw Museum and Art Gallery from May 25 to August 26, 2018. 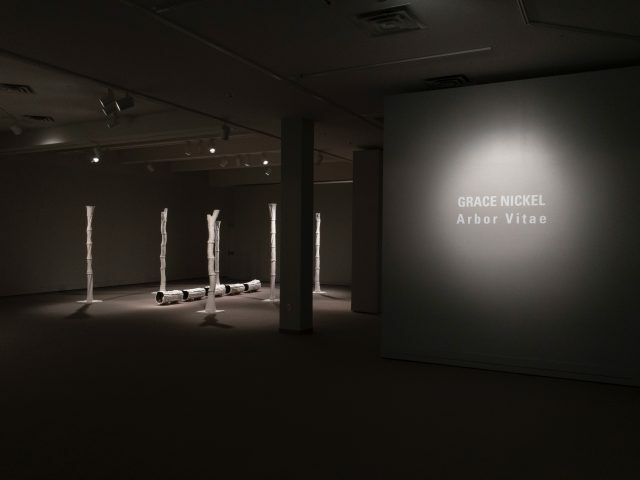 This concludes the tour of Arbor Vitae, which has been exhibited at four venues over the past three years. 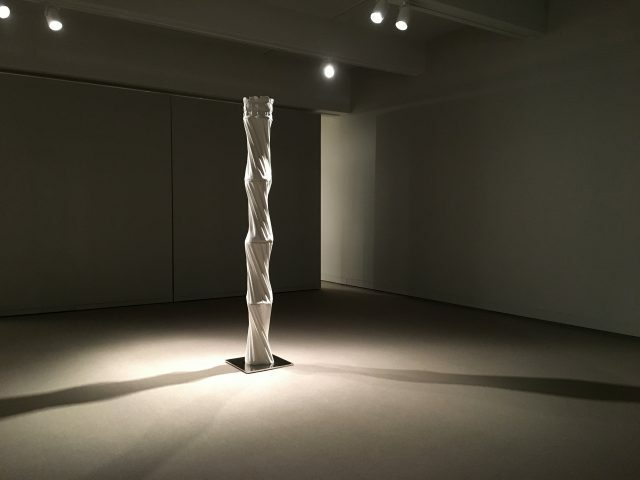 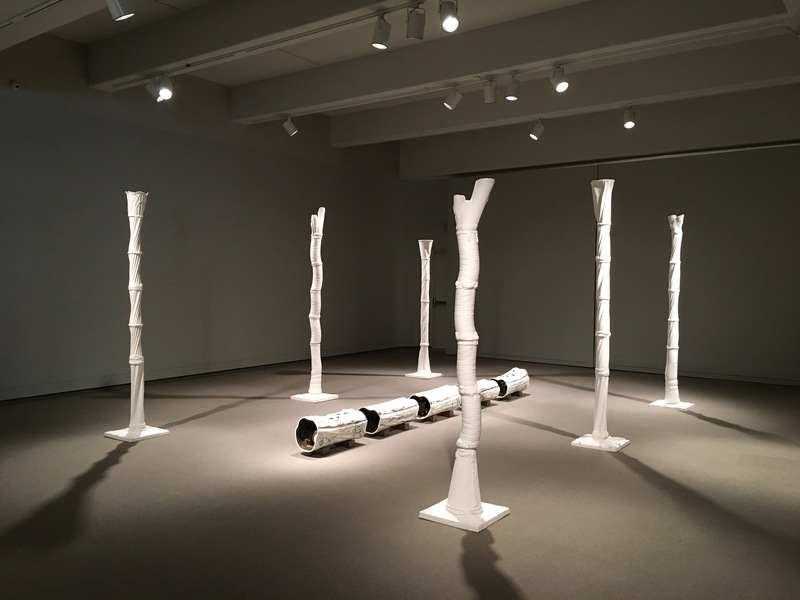 Its journey included the Clay and Glass Gallery in Waterloo, Ontario, NCECA in Portland, Oregon, Actual Gallery in Winnipeg, Manitoba and the tall, twisted column called Host was also shown individually at the Manitoba Craft Council’s new C2 Centre in Winnipeg, where I received the Judith Ryan Memorial Award for best in show in the inaugural exhibition titled BEST. 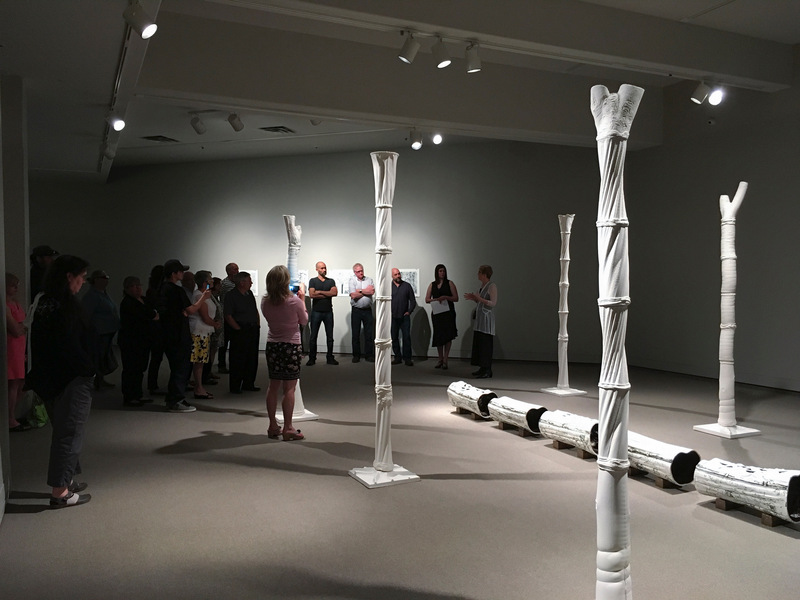 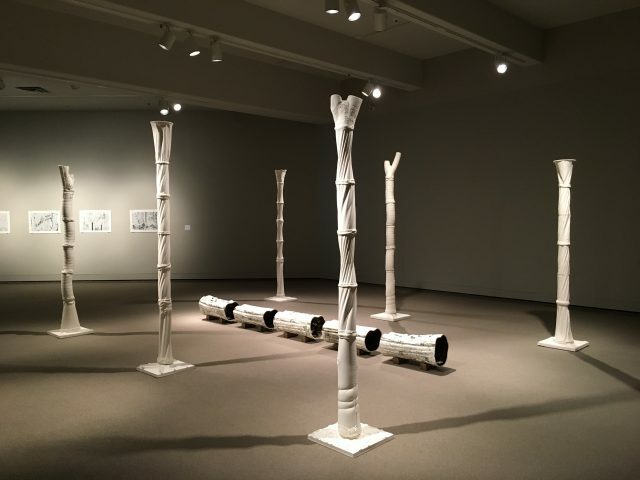 Arbor Vitae opened at the Moose Jaw Museum and Art Gallery on May 25, 2018. 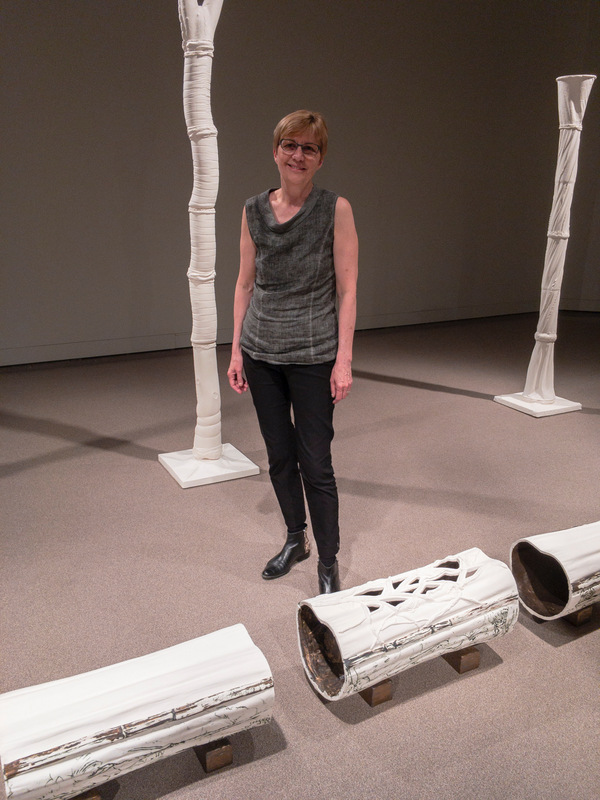 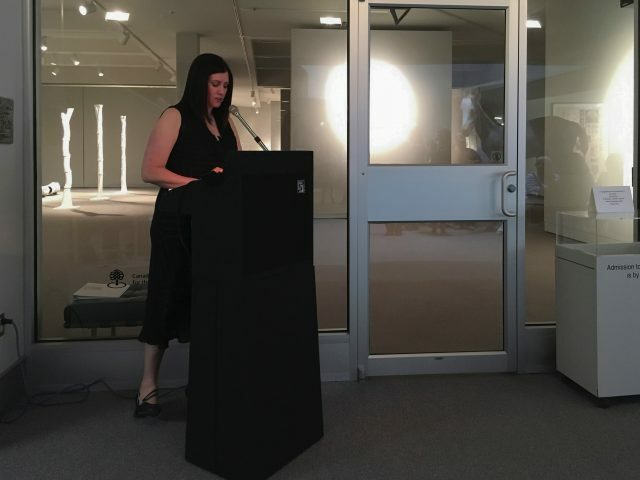 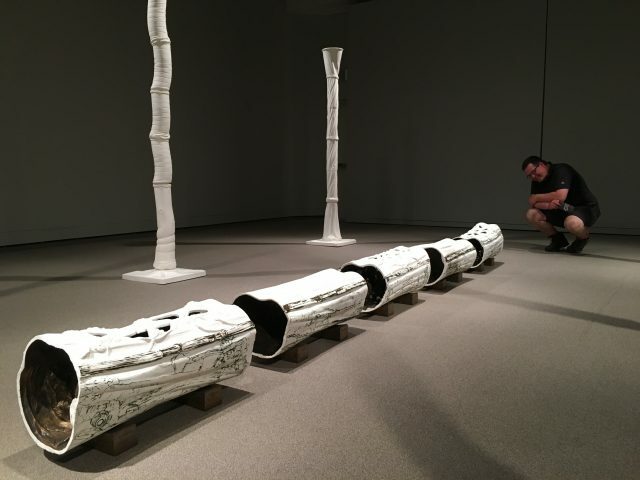 I presented a gallery talk as part of the evening’s events and was happy to share the spotlight with a group of illustrious Saskatchewan ceramic artists who had their work shown in an adjacent gallery in an exhibition of works from the permanent collection called Vessel. 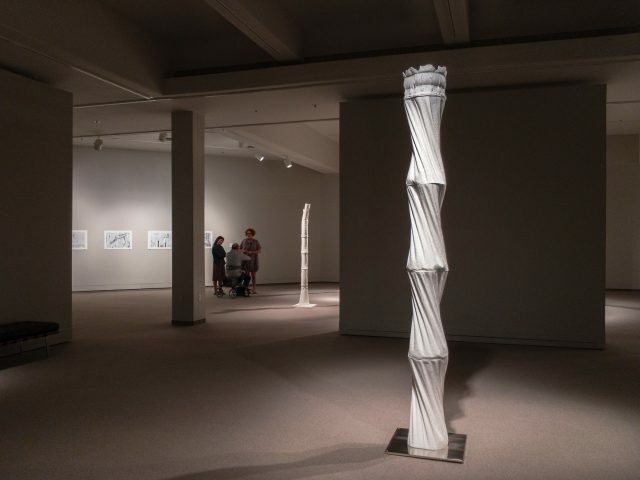 Attendees at the opening included Joe Fafard and Victor Cicansky, two of the great pioneers who sparked up the rebellious ceramic Funk movement in Saskatchewan in the 1960s. 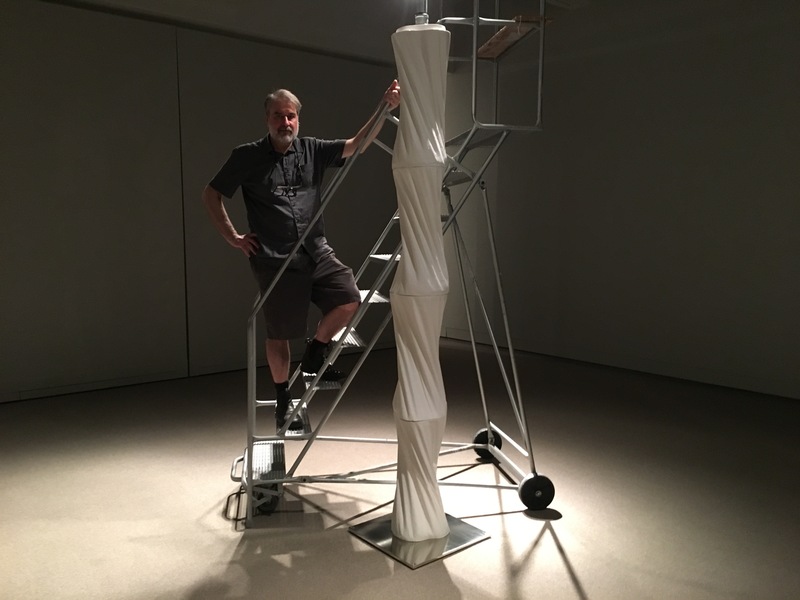 Thank you to curator and director Jennifer McRorie, preparator Vivian Barber, and U-Haul driver and installer extraordinaire Michael Zajac.